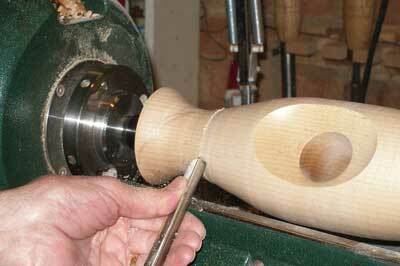 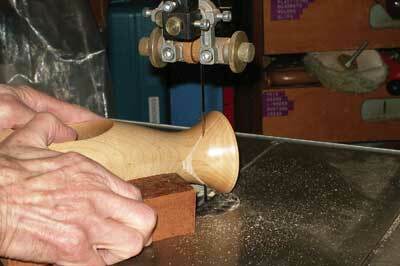 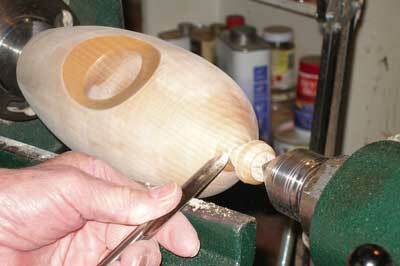 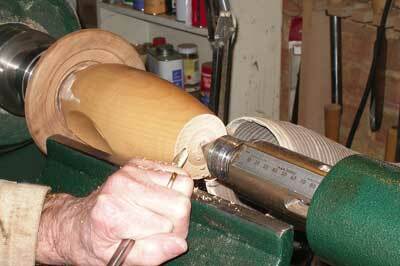 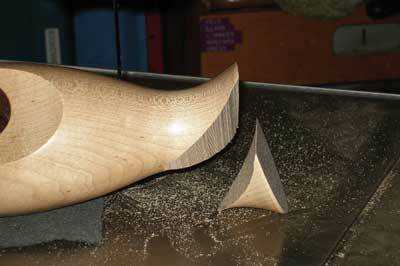 My first attempts at lathe sculpture were fairly straightforward from the turning point of view. 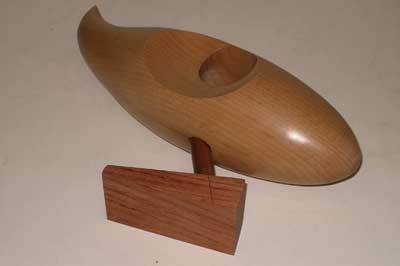 So, wanting to develop the theme in a different direction, I sought inspiration from other art forms. 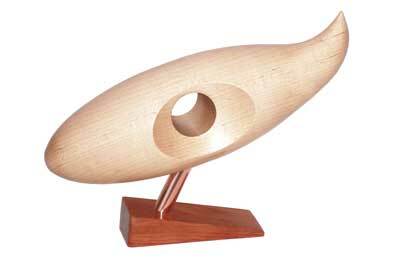 Glass, ceramics, nature, architecture and modern abstract sculpture are a never-ending source of ideas, which can be adapted by using plain, offset and multi-axis turning, together with carving, piercing and texturing. 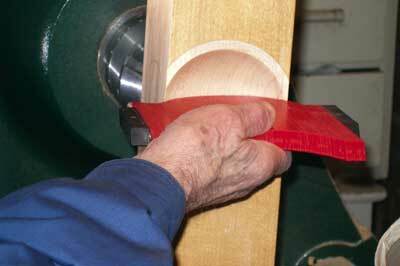 So, it is always worthwhile being in a receptive frame of mind when visiting museums and craft exhibitions - keep a notebook handy. 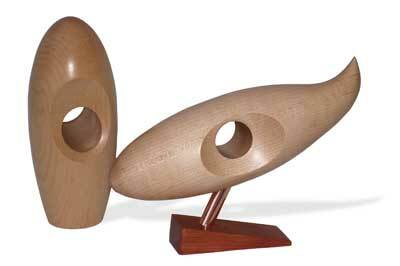 This piece is a response to a book I read about the sculptor, Barbara Hepworth, whose works often feature smooth rounded forms, which are hollowed or pierced using a variety of different methods. 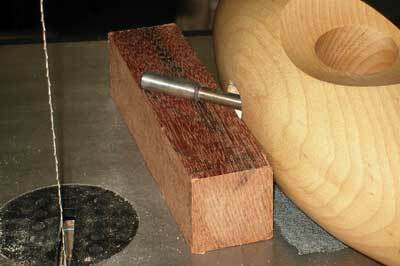 There are TWO variations of the form described here, so it is best to study the complete project and make your choice of mounting before any work is started. 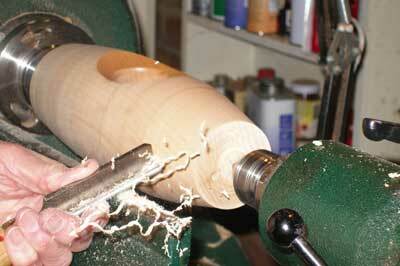 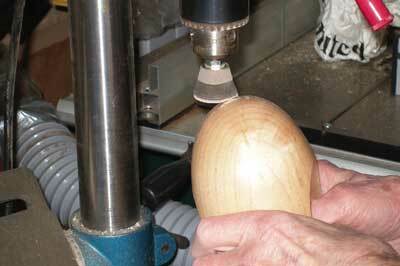 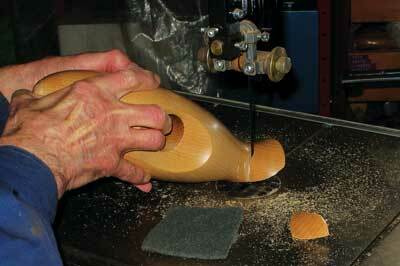 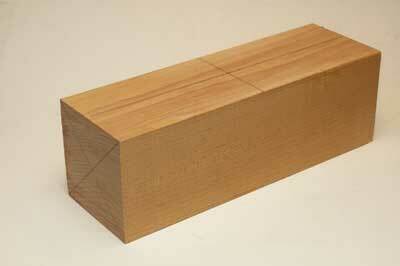 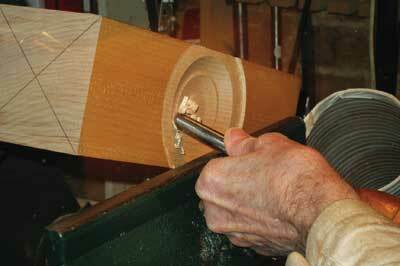 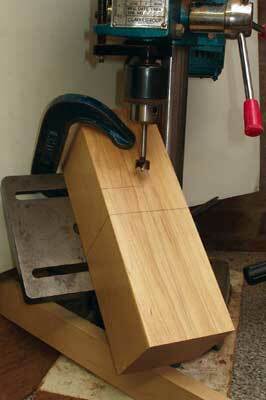 Note: Option 2 requires drilling before any turning is carried out. 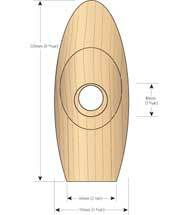 Option 1 is truncated and stands vertically. 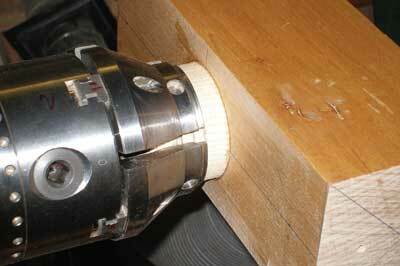 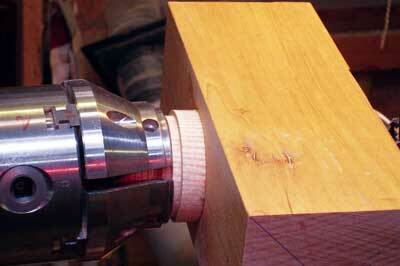 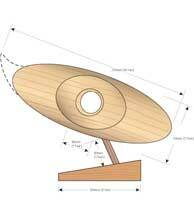 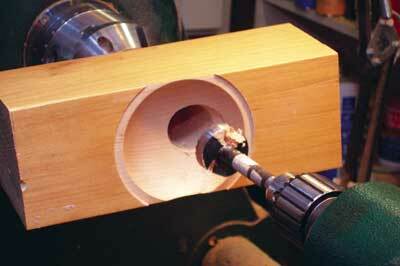 Option 2 is drilled at an angle and mounted on a stand. 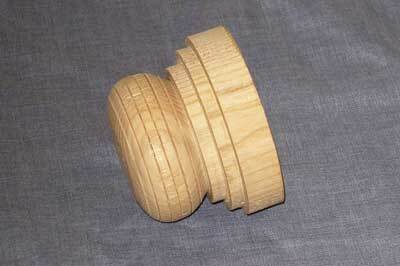 It also has an offset tip, which can be at the upper or lower end, or both. 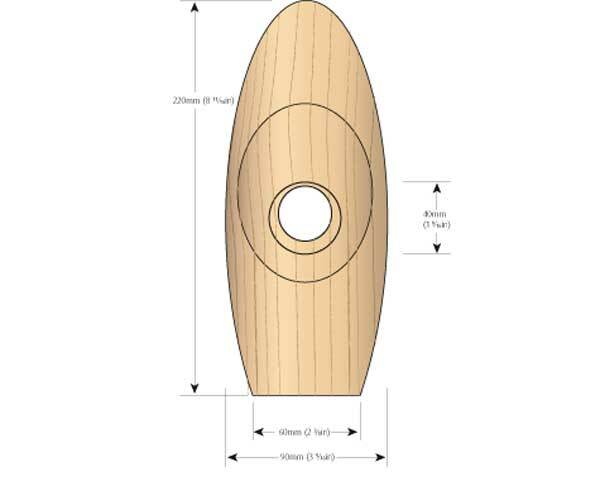 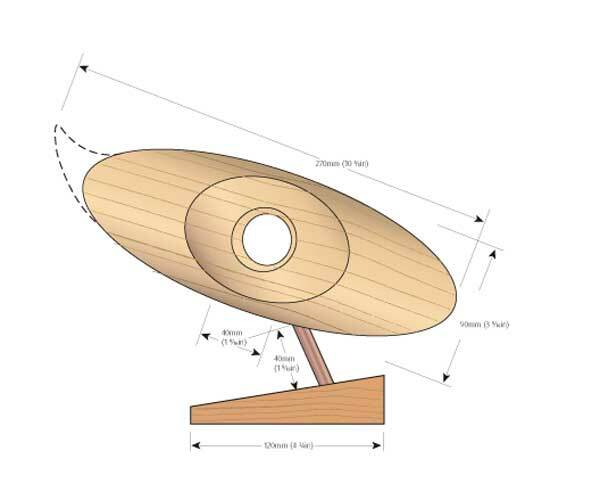 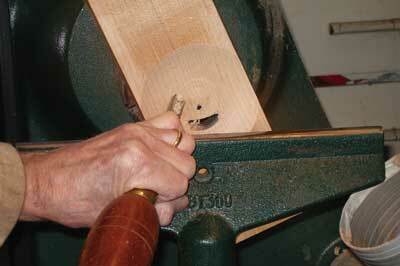 Use the continental and spindle gouges to turn one end to an oval profile. 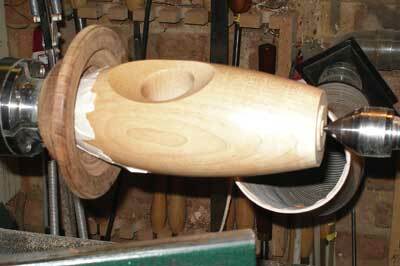 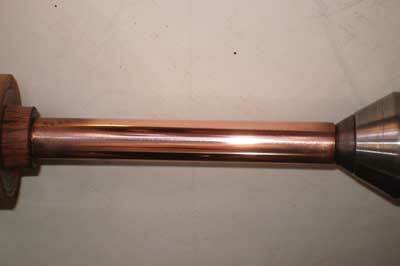 I chose the end having the central bore nearest to it â€“ the shorter end. 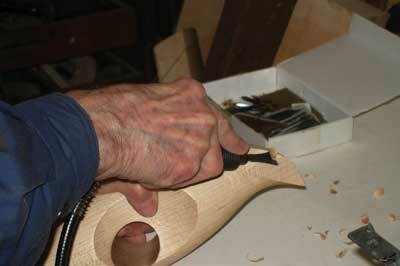 The very long 'pip' here was necessary to get rid of a nasty nail hole!